Rebekka Schiffer is a German IP lawyer. She advises domestic and foreign clients in various industries, including electronics, security identity solutions, retail, painting and lifestyle, on their global management of IP rights portfolios. This includes, in particular, counselling her clients in trademark creation, trademark clearance searches and development of trademark and design strategies, as well as filing and prosecuting her clients’ trademarks and designs with national trademark offices, the EU Intellectual Property Office (EUIPO) and the World Intellectual Property Organisation (WIPO). 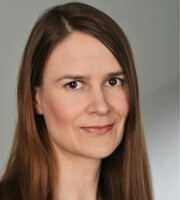 Ms Schiffer is also active in global, regional and local offline and online brand enforcement programmes and investigations, and she recovers domain names in all major domain name dispute resolution forums. After her studies, including an IP law degree and her traineeship with the IP group at a UK-based law firm, Ms Schiffer began her career at COHAUSZ & FLORACK in 2005, becoming a partner in 2010. She is admitted to all German district and higher regional courts, the Federal Patent Court, the General Court of the European Union and the European Court of Justice, as well as the German Patent and Trademark Office, the EUIPO and WIPO. She regularly attends international trademark conferences such as those of the International Trademark Association and MARQUES.